Wilson Combat specializes in providing a top-notch option full size concealed carry handguns. This includes the company’s 5” 1911 pistol, which fuses together both style and functionality into one cohesive pistol. 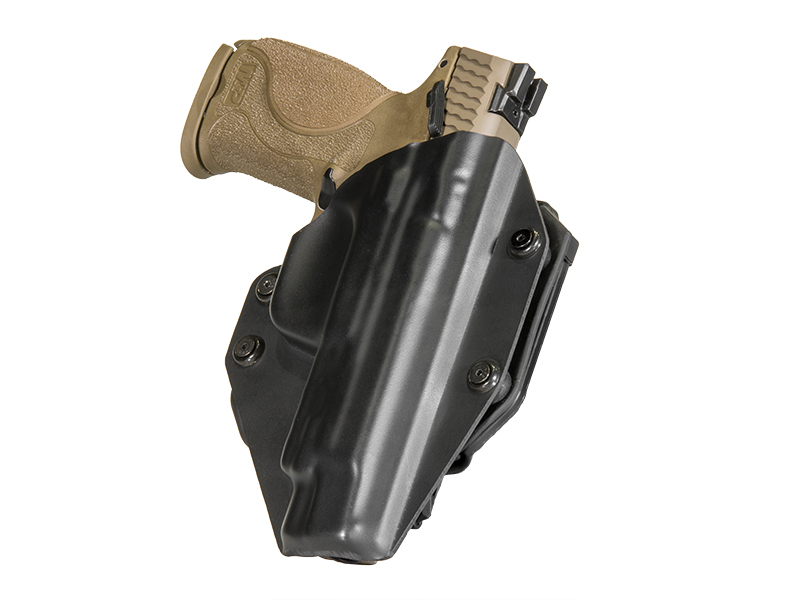 To match these qualities, we here at Alien Gear Holsters offer a Wilson Combat 1911 holster like no other: The Cloak Tuck 3.0 IWB. As you can see in the photos provided above this text, this Wilson Combat 1911 concealed carry holster boasts a low-profile design. 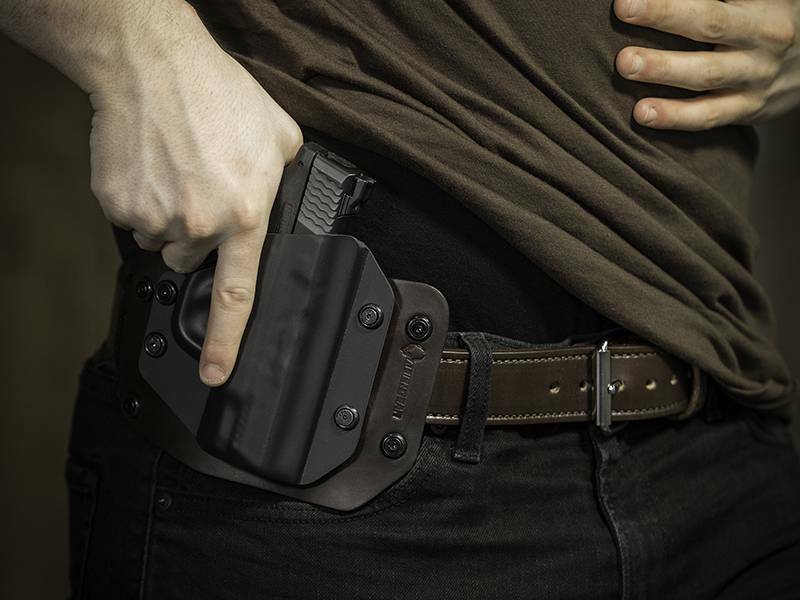 You’ll notice that the Cloak Tuck 3.0 has been made with a combat cut holster base, which flexes to your side for a comfortable all-day concealed carry. Although your Wilson Combat 1911 pistol is relatively heavy, the Cloak Tuck 3.0 will effectively displace the weight of your premium pistol across the entire 1911 holster base. 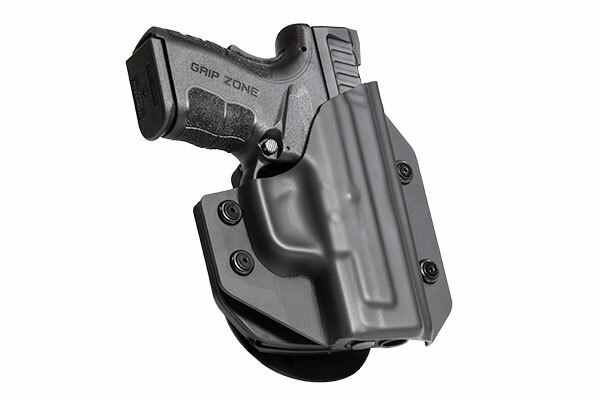 This, combined with a neoprene backing, will provide you with a comfort only achieved by Alien Gear Holsters. To combine comfort with customization, our craftsmen have designed this Wilson Combat 1911 IWB holster to be easily adjusted by the concealed carrier. 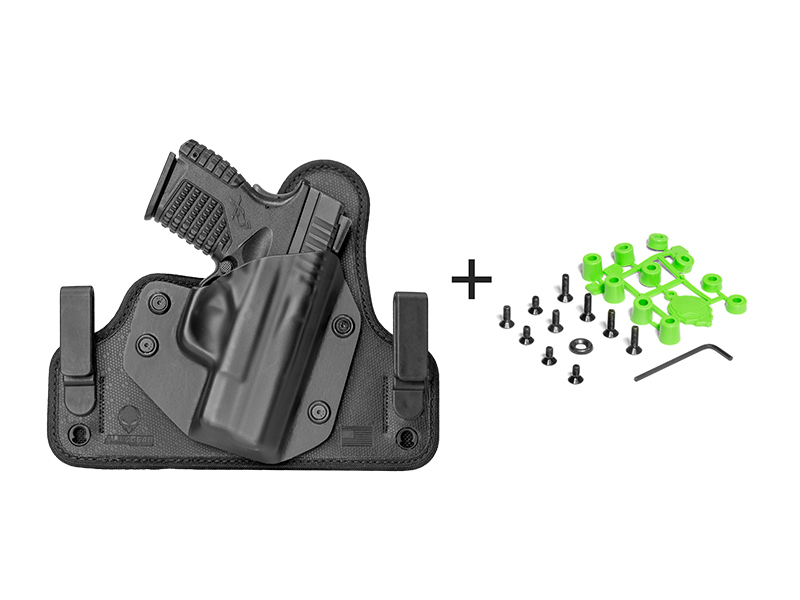 To customize your cant (angle) or ride height, simply relocate the holster clips. Within moments, you’ll be able to carry your 1911 where you want to. 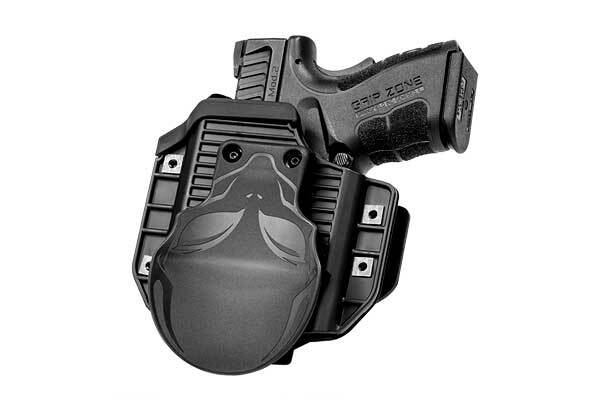 Alien Gear Holsters feature interchangeable shells that come with every gun holster. 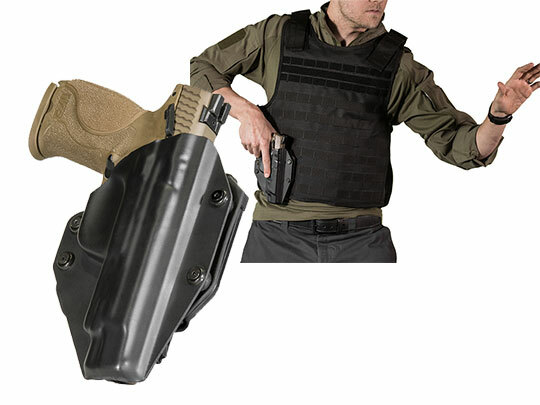 These dense holster shells provide protection against everyday wear, while also adding retention to your 1911 concealed carry pistol. If you’d prefer to carry your Wilson Combat 1911 with an outside the waistband holster, we offer our leather-based Wilson Combat 1911 OWB holster. 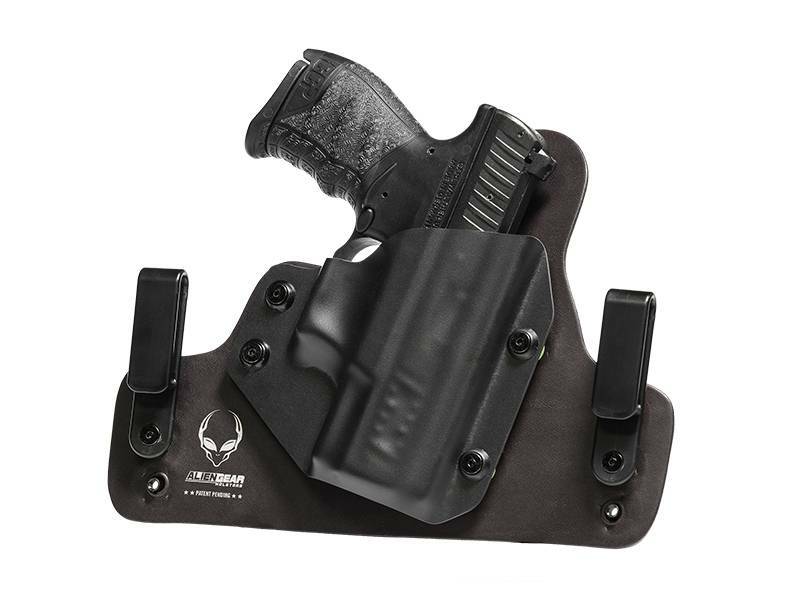 Known for its ease of use and solid carry, this Alien Gear Holster will provide you with a reliable outside the waistband option. We are certain you’ll love your Alien Gear Holster, so we back each one with our Iron-Clad Triple Guarantee. This includes a 30-Day Test Drive, free shell trades for life, and a Forever Warranty.